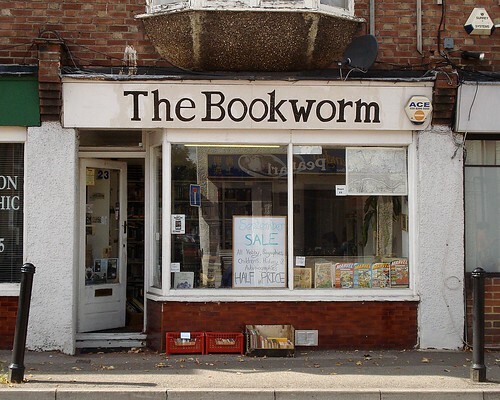 This week's featured article is The Bookworm, SM5 2PT, a secondhand bookshop in Carshalton. As far as we can tell it's not one of those bookshops that isn't there when you go back and try and find it again, only to be told by a retired one-eyed sea captain that there Ain't Been A Bookshop Here For Forty Year. Indeed, The Bookworm firmly resides in the correct universe at all times. New additions to RGL this week include two large pubs Out East (the County Arms in Highams Park and the Larkshall in Chingford); Black Pig With White Pearls, a new tapas place in Stoke Newington and Tsuru, a Japanese restaurant on Bishopsgate with a possible penchant for the music of Will Young. Closures include the Lock Dining Bar in Tottenham Hale, Joshua's Tea Room (the cafe in Allders in Croydon, which itself has sadly now sold its last cardigan), Shanghai Village in Twickenham and the Lemon Monkey cafe in Stoke Newington. We are also sad to report the closure of Lovely Beer Haven Mason & Taylor in Shoreditch, which will shortly be replaced by a new craft beer bar run by the chaps at Brewdog. New featured article — Silk Road, SE5 8TR. 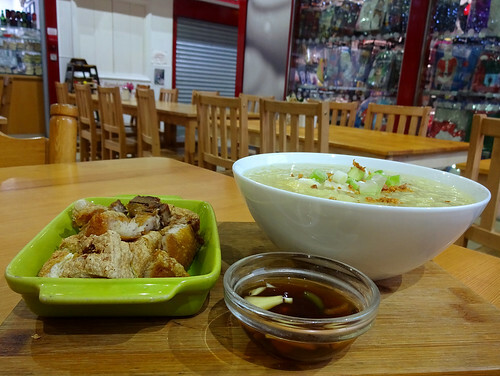 This week's featured article is Silk Road, SE5 8TR, a Chinese restaurant in Camberwell offering food from Xinjiang, a province in the far northwest of China. One of the characteristic dishes of Xinjiang is big-plate chicken (大盤雞), a stew of chicken and potatoes in a rich, savoury gravy. Silk Road's rendition is pretty good, but huge, so take lots of friends with you! 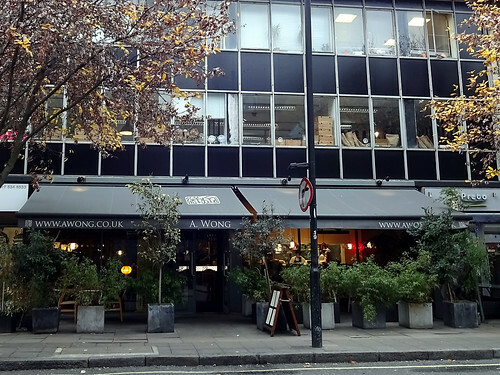 Recent additions to RGL include Bibimbap Soho, a Korean restaurant on Greek Street; and the Hoop and Grapes, a Nicholson's pub in Aldgate. 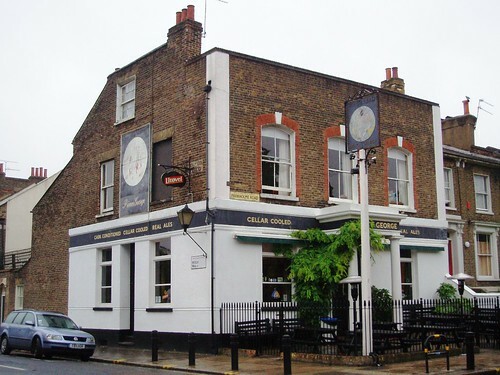 We've also updated several older pub writeups: the Old Wheatsheaf and Moon Under Water in Enfield; the King's Head and King's Ford in Chingford, and the Green Dragon in Croydon. 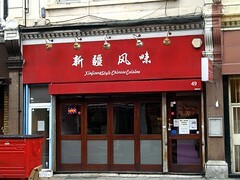 One reported closure: Noodle Oodle (previously Inn Noodle) on Oxford Street. Their Queensway branch remains open. kake - New featured article — Silk Road, SE5 8TR.